Feb. 7, 2019, 10:35 a.m. In communities across America, there are stories that need telling. We want to help you tell them. Applications are due February 18. By Joshua Benton @jbenton Feb. 7, 2019, 10:35 a.m. If you’ve read this site for any length of time, you’re well aware of the crisis in local news. Digital media, rather than decentralizing journalism geographically, has concentrated more of it in New York and Washington and Los Angeles and San Francisco than ever. The local newspaper bundle has been broken up; hours spent watching local TV news have shifted to Netflix. The job of distributing news — one done for decades mostly by delivery trucks and broadcast towers — now lies mostly in the hands of a few giant technology companies within a few miles of each other in Silicon Valley, none of whom have shown particular interest in tying together content and location. Funded by the Abrams Foundation, this fellowship will fund up to three Nieman Fellowships for U.S. journalists who cover news in areas of the United States where resources are scarce. The fellowship additionally will fund up to nine months of fieldwork at the fellow’s home news organization after two semesters at Harvard — or in the case of freelance journalists, a newsroom partner. During the fieldwork period, the Abrams Nieman Fellows may expand or develop an investigative project that will provide better, more in-depth coverage of issues important to the communities they serve. I’ve now seen literally hundreds of journalists from around the world have their lives and careers changed by a Nieman Fellowship. Any of our fellowships is a glorious thing. But the Abrams — combining a full year at Harvard with deep journalistic work that truly matters to a community — is something special. If you’re a local journalist in the United States, you should read more about the fellowship (in our piece from its launch and on the Nieman Foundation site). But most importantly, you should apply — the deadline, February 18, is creeping closer. (But we all know journalists are great on deadline, right? And it’s not the heaviest lift: Your project proposal can be 500 words, max.) Questions? Email our fellowship program administrator, Nicole Arias. 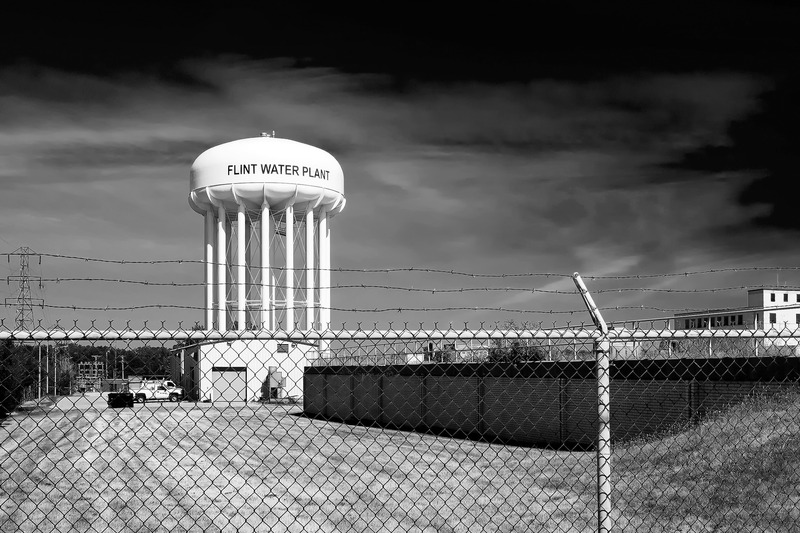 Photo of the Flint, Michigan, water plant by George Thomas used under a Creative Commons license. POSTED Feb. 7, 2019, 10:35 a.m.
Benton, Joshua. "It’s time to apply for an Abrams Nieman Fellowship for Local Investigative Reporting." Nieman Journalism Lab. Nieman Foundation for Journalism at Harvard, 7 Feb. 2019. Web. 20 Apr. 2019. Benton, Joshua. "It’s time to apply for an Abrams Nieman Fellowship for Local Investigative Reporting." Nieman Journalism Lab. Last modified February 7, 2019. Accessed April 20, 2019. https://www.niemanlab.org/2019/02/its-time-to-apply-for-an-abrams-nieman-fellowship-for-local-investigative-reporting/.